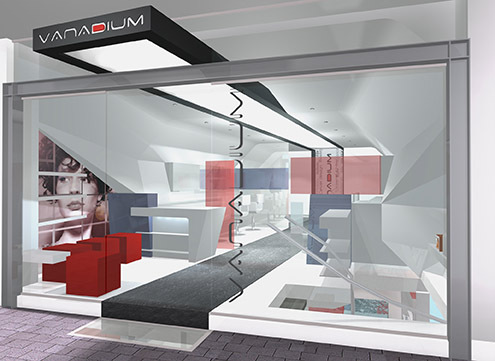 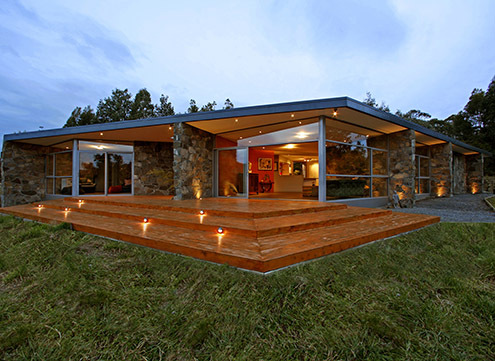 A “timeless design” is expressed by the sustainable relationship with the natural environment and the architectural form. 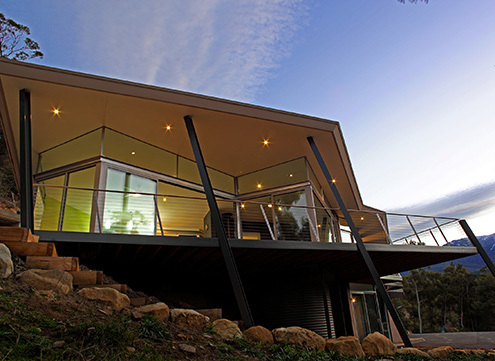 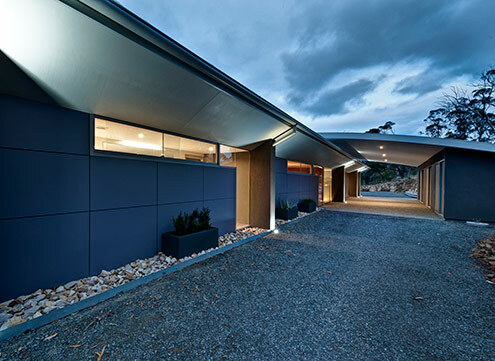 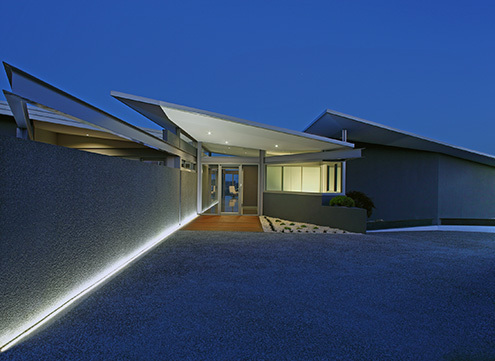 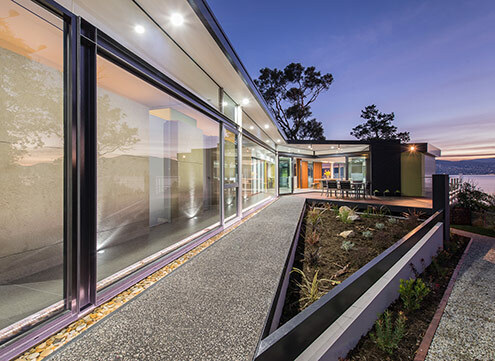 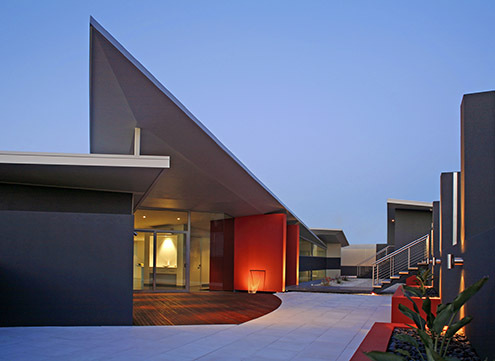 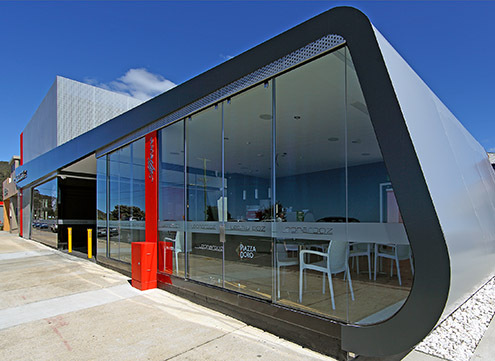 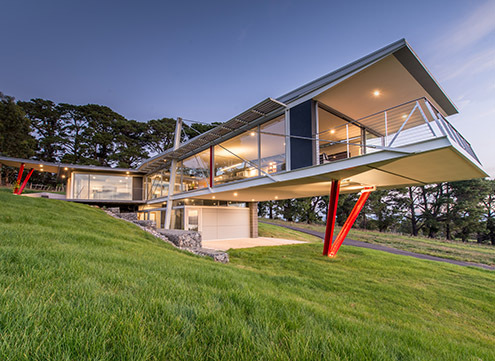 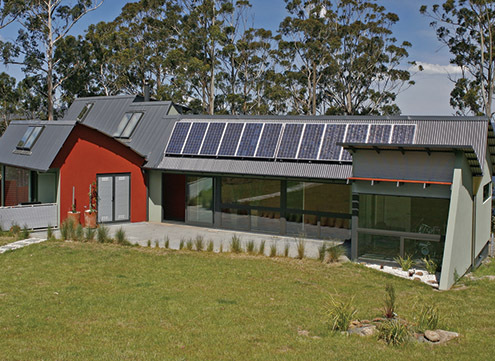 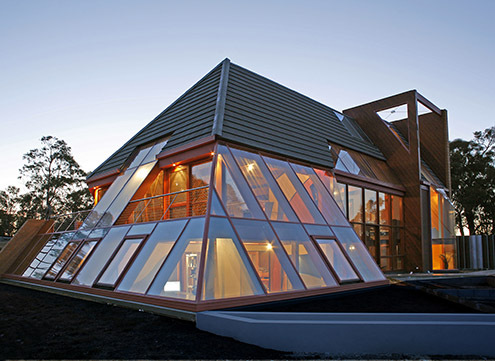 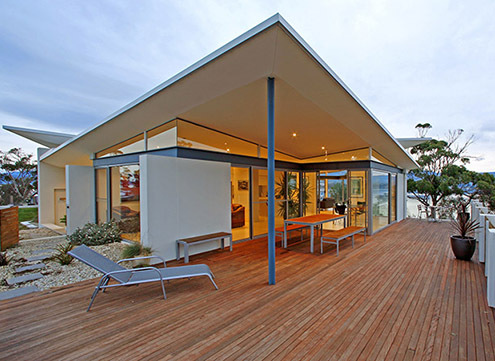 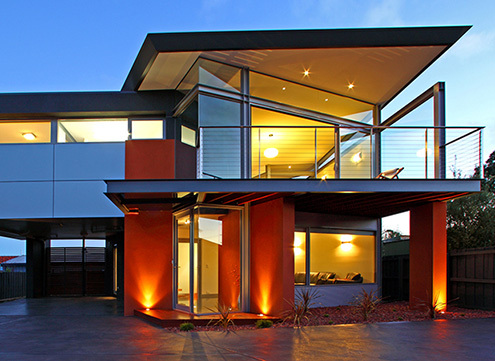 Sustainability design strategies underpin the entire project to maximise passive solar gain. 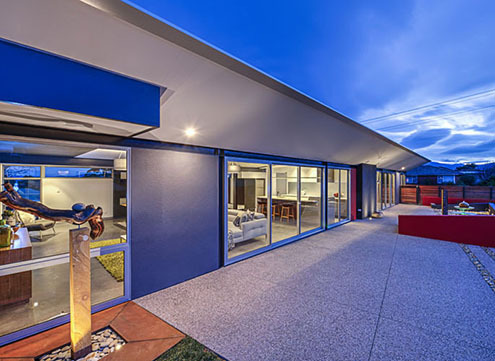 Locally sourced environmentally sustainable materials including reject dolerite wall stone, harvested celery pine poles and bamboo screening which aid in extending durability and the life-cyle of the home. 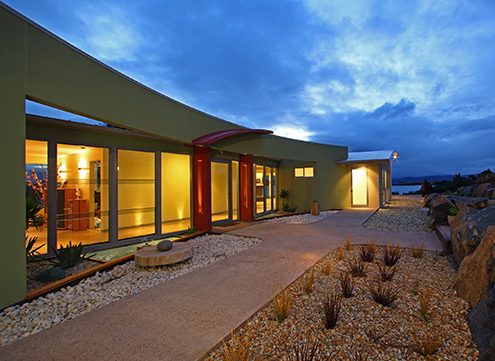 This is a home that is both economically and environmentally efficient providing clients with ongoing flexibility in living arrangements.